As a working professional in the digital age, I’m online with a personal laptop, smart phone, work machine, or work laptop nearly every hour that I’m awake in the day. If your life is anything like mine, then you constantly trying to stay organized and current, juggling your digital life between a home computer, a work computer, a work smart phone, a personal smart phone, and maybe even a tablet. If you mix in a computer from a spouse or a spare laptop or desktop, the task of trying to stay organized can be challenging. Browsing preferences, links, history files, bookmarks, plugins, documents and profiles can be a mixed bag of chaos. I can’t tell you how many times I’ve thought “rats, I left that picture at home on my laptop” or “Crap, I can’t get to that document because it’s in word on my desktop at work.” To overcome this dilemna, here are several ways that I’ve been able to get organized with Chrome, Gmail, and Google Docs. The first thing that I’ve found to be helpful on a variety of different comptuer is to download Google Chrome, then set Chrome to be the default web browser for all of your workstations. 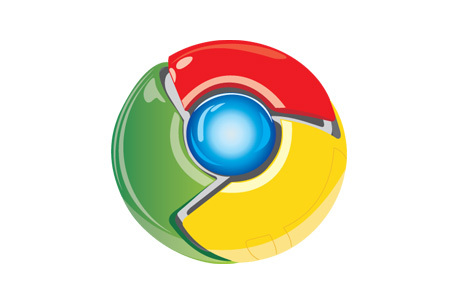 Google Chrome is currently in Beta for the latest operating system version Android 4.0 “Ice Cream Sandwich”. It’s not currently available for other versions of the Android OS. 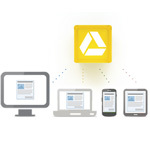 The biggest appeal of using Chrome everywhere, is that the application links directly to your google account, so no matter where you are, your files can be opened with your choice default application, and if you choose an application from the Chrome Store, the application can be opened or operated from nearly anywhere. For a lot of businesses, Exchange has been the email solution choice for years. This trend is slowly going away as more and more small businesses are choosing to use Gmail for business, and forwarding their domain name’s email to the gmail interface. I run a wedding videography business called Freedom videography, and we use gmail for our business, and I have to say, it is quite handy to coordinate emails, documents and schedules in one unversal web based platform, and it’s free! Even though the interface is gmail, my email address is still set up with my company domain name so the last part of the email is @freedomvideography.com. This allows us to have a fast convenient email source wherever we are, no matter what computer we’re using and maintain a professional business image with an email address that matches our brand. One of the best features of this integrated system is Google Calendar. From any web browser at any time, anyone with permission can update your calendar so that as a team, people can work together and synchronize schedules, meetings and deadlines. My wife and I use this feature all the time to synchronize our Wedding Schedule for the busy summer. It’s not uncommon to get a call while traveling on the road from one client’s place to another. With an Android phone (or an iphone) you can pull up the calendar, make an entry change or add a date for a client that has recently booked a job or service, then pull back on the road and keep driving. I love my laptop, but not having to unpack my laptop is a very handy feature. I’m in the market for a new laptop right now, and I’m leaning towards purchasing Apple’snewquadcorei7 macbookpro. Considering all the simplicity and efficiency of this system, I would almost consider one of the new Google Chromebooks, to have an entirely cloud based experience. WeVideo is an application that has the ability to do intelligent HD video editing right from a chrome application. If this service works as well as what it seems to, then this could be a good solution for putting together a quick trailer or teaser from an event that I’m currently attending. I use a lot of different computers throughout the day, including a custom built Intel 6 Core i7 machine, with 6GB of ram, DVD burning and 2 22” displays, my macbook pro, another Dell laptop, and 2 smart phones. Keeping bookmarks for important websites, and links strait between these machines is another challenge that was a challenge in the past. Take this scenario that I experienced this past summer for example; I’m out shooting a wedding and out of the blue someone bumps me from behind and the camera that I was mounting on a tripod drops to the floor and snaps the card storage area, not allowing the SDHC card to open on my ag-hmc40 avccamhdcamcorder. Because I had a smart phone with synchronizing bookmarks I can pull up the contact information for my Panasonic representative from my phone, which has the emergency Camcorder phone number on it, that I just saved to my home machine. Every bookmark, and favorite, and history item is synchronized between each PC that you use. All you have to do is log into your account to make it happen. It doesn’t take long to get busy with schedules, deadlines, invoices, sales, marketing, web site updates, maintenance duties, and the actions involved in running your business. Take a step back, and take a few hours to set things up and use Chrome and Google Apps on each of the machines in your life, and you’ll save yourself a world of hurt, and a lot of time. I've got Chrome and have took a few extensions out for a spin. I also have used Gmail for quite some time now. I haven't used Calendar or tried syncing with bookmarks, but I'll give that a shot. Thanks! Wow, so nice & very good update about Google, i like your efforts, thanks for sharing good info.